The elephant in Thailand has been a work tool for centuries, mainly in the forest industry, they are extremely strong individuals and have pulled thousands of teak trees in rain forests around Thailand. The elephant is still used today where machines still cannot get through. Around in Thailand, there is a training camps for elephants where you can also see how the work was done. Today it is mostly a tourist trap where tourists shown what happened when you used the elephant to different jobs in Thailand. The largest and most reputable training camp is located at 37 km northwest of Lampang stone and only 70 km southeast of Chiang Mai. The daily elephant training takes place 07: 00-11: 00, and there are opportunities to ride the elephants in the area. 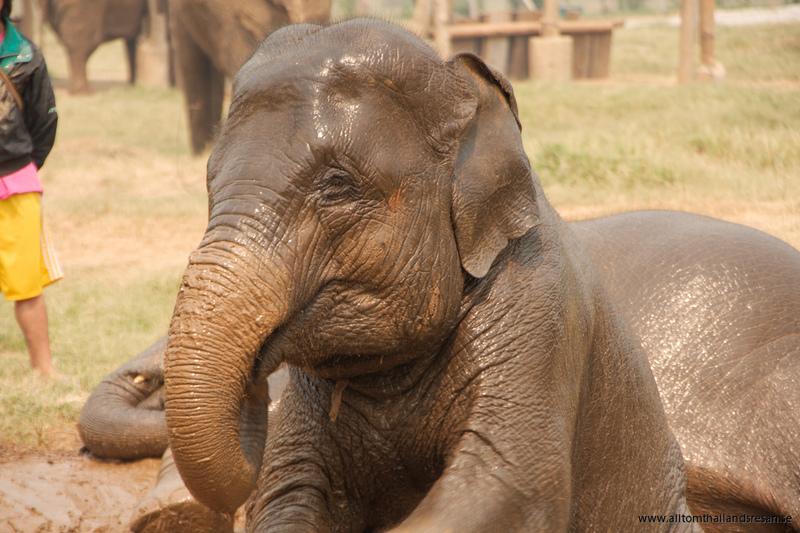 In all elephant camps for tourists and other camps for elephants that are trained to start the day with a bath, then have breakfast. Next follows training. Elephants can understand up to 50 different commands. And they learn how to transport heavy wood. The elephants are mainly working in groups of seven, six of them are baby elephants who are between 3-10 years old and the last is an adult female. The elephants do not start working properly before they have completed their training, which takes between 5 to 7 years to achieve. Working life last in nearly 50 years. Most training centres are closed during the period from March to May month when the elephant mating period occurs. The elephant is a peaceful animal, but do not approach an elephant unless the coach is with it.